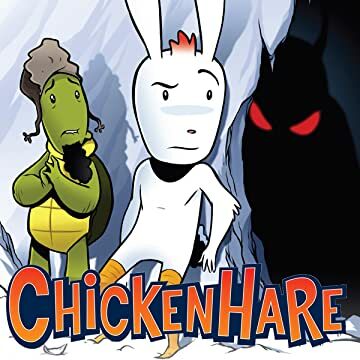 Chickenhare: half chicken, half rabbit, 100% hero! 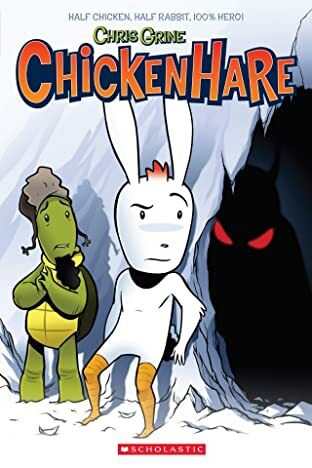 What's a chickenhare? A cross between a chicken and a rabbit, of course. And that makes Chickenhare the rarest animal around! So when he and his turtle friend Abe are captured and sold to the evil taxidermist Klaus, they've got to find a way to escape before Klaus turns them into stuffed animals. With the help of two other strange creatures, Banjo and Meg, they might even get away. But with Klaus and his thugs hot on their trail, the adventure is only just beginning for this unlikely quartet of friends.